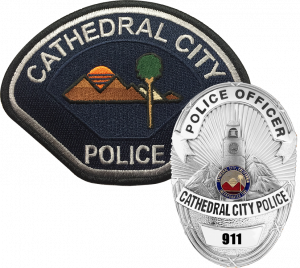 Cathedral City Police Department contracts with Turbo Data to process their parking citations. Parking Citations may only be contested by written form to Turbo Data and addressed to Cathedral City Police Department. Please send fines or correspondence to City of Cathedral City, P.O. Box 2081, Tustin, CA 92681-2081. For additional information regarding your parking citation you may call 1-800-553-4412. Red light violations are generated by cameras located at the corners of Ramon and Date Palm, Ramon and Landau and Date Palm and Vista Chino. ALL violations are reviewed by an officer before a citation is issued. Although we try to accurately identify each driver by the registered owner of the vehicle, occasionally red light violations are issued to the registered owner instead of the driver. If you receive a red light violation and you were not the driver, simply fill out back of the citation with the correct driver name and mail or fax it to the address or number given. YOU MUST INCLUDE A COPY OF YOUR DRIVERS LICENSE. Including a copy of the correct driver’s license will help expedite the process. Still photographs give the illusion that a vehicle is at a complete stop. If you would like to view the video of the violation you may do so by going to the website at www.Violationinfo.com. You will need the Notice Number and PIN number located on the upper right hand corner of the notice of violation. If you need further assistance you may contact our traffic division to set up an appointment. Their phone number is 760-770-0760.